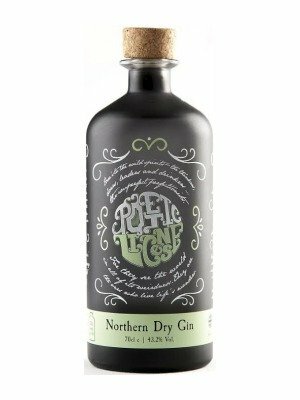 Poetic Licence Northern Dry Gin is a popular Craft Gin available from Amazon.co.uk in 70cl to buy online. Visit Amazon.co.uk for the best price for 70cl of Poetic Licence Northern Dry Gin or compare prices on our other Craft Gin products. Expect a big punch of Juniper that is finely balanced with green cardamom for a warm and spicy flavour. With undertones of lemon and eucalyptus, the inclusion pf Persian lime intensifies the citrus feel while adding a note of perfume. As for the other botanicals....well, that is their secret! 'The gin drinkers' choice, specifically crafted to stand out in many gin based cocktails. The sweet bitter flavours of a Negroni and the sharp citrusy flavours of a classic Gin sour balance well with this powerful , floral gin. Where to buy Poetic Licence Northern Dry Gin ? Poetic Licence Northern Dry Gin Supermarkets & Stockists. You can buy Poetic Licence Northern Dry Gin online in most retailers and find it in the Craft Gin aisle in supermarkets but we found the best deals online for Poetic Licence Northern Dry Gin in Amazon.co.uk, TheDrinkShop, and others. Compare the current price of Poetic Licence Northern Dry Gin in 70cl size in the table of offers below. Simply click on the button to order Poetic Licence Northern Dry Gin online now.